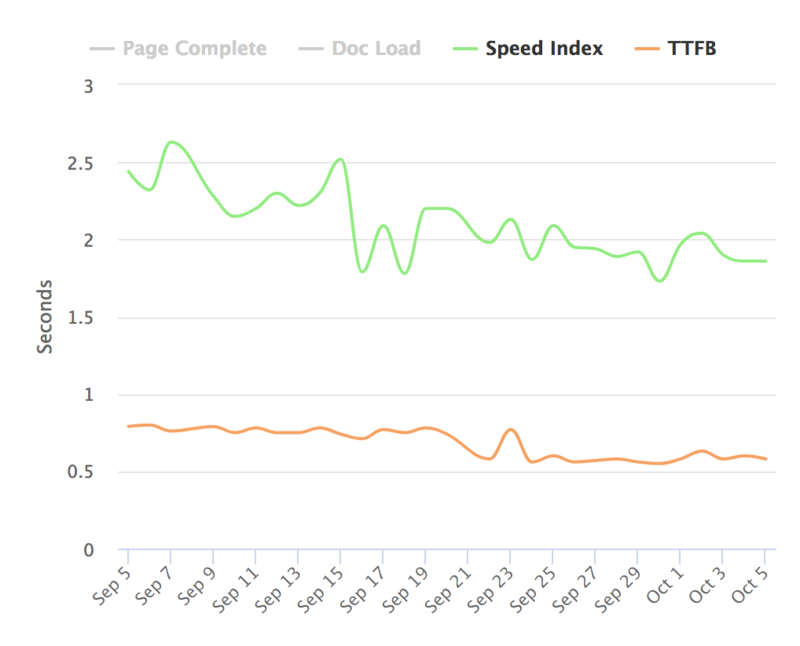 Here’s a step-by-step case study on how we optimized a Shopify ecommerce site with a 24% improvement in page speed, through the use of MachMetrics speed tracking and the expertise of Eugene Chekan, one of our recommended speed consultants. This challenge is unique since it’s a Shopify site we don’t have any control over server settings, and are very limited in what we can edit on the page – due to Shopify’s theme structure. Yet we were still able to move things around to get a decent speed improvement. Our target today is Authority Kitchen, a Shopify-driven e-commerce store. 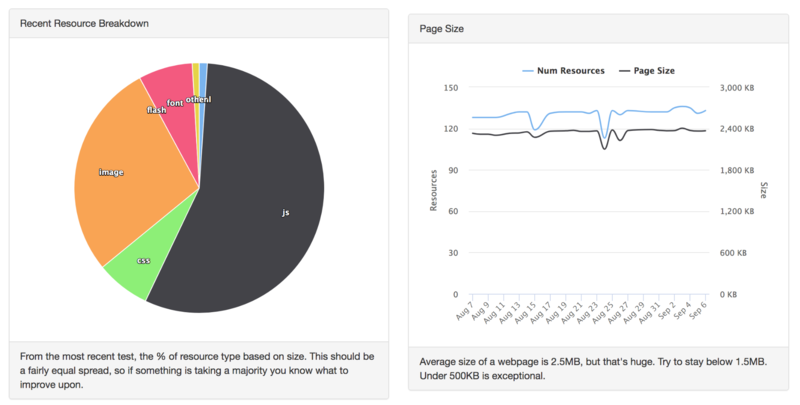 We focused our efforts on two types of pages to inspect and optimize – a main page and a product page. Let’s start with high level performance overview and then dive into specific optimizations. There are 3 scripts that are loaded before browser begins to render page. Luckily, two of them — ga_urchin_forms and shopify_stats — are loaded asynchronously and don’t block page render in any way. Real problem here is the jQuery <script> tag: there’s no async or defer attribute and browser loads script content in a blocking fashion, postponing page render until script is fully downloaded and executed. So how should we solve jQuery being render-blocking issue? We can’t make it load asynchronously because some inline scripts are using jQuery and we’re not in control of those scripts. Although we can move jQuery as far down from <head> as possible so browser could render some content before blocking because of jQuery. In this particular case jQuery library isn’t used until main content section which gives us opportunity to render page header and menu. There’s one caveat with this approach: browser will not download jQuery until HTML parser reach jQuery <script> tag. And we moved it quite far in the document. 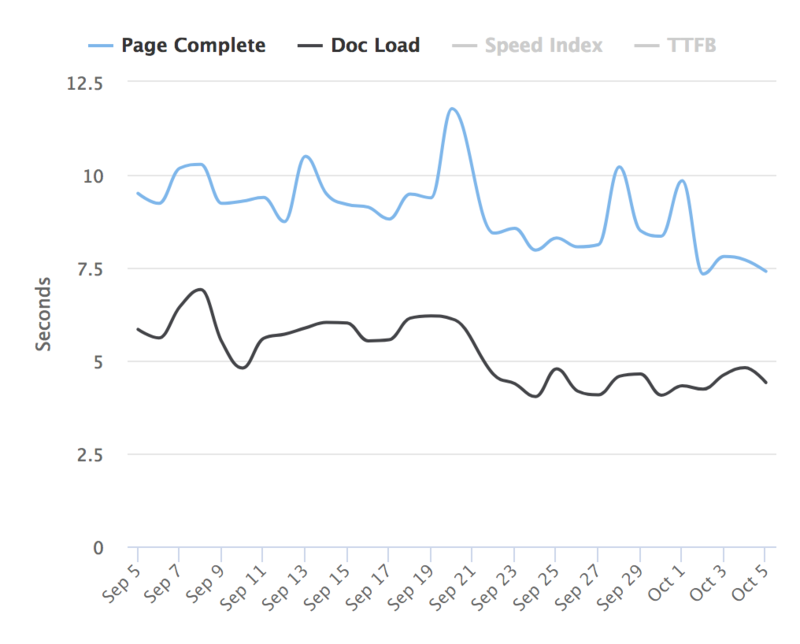 Sure, we improved first render time, but we’re still wasting a lot of time waiting for jQuery to be downloaded and parsed. You might think if there only was a way to tell browser to preload some important resources right away! And there is such a way: <link> tag with rel=’preload’ attribute. Move jQuery as far down the document as possible. Place <link rel=’preload’> that points to jQuery as close to the start of the document as possible. Cool, looks like jQuery being preloaded right away without blocking render until it is used later in the document! 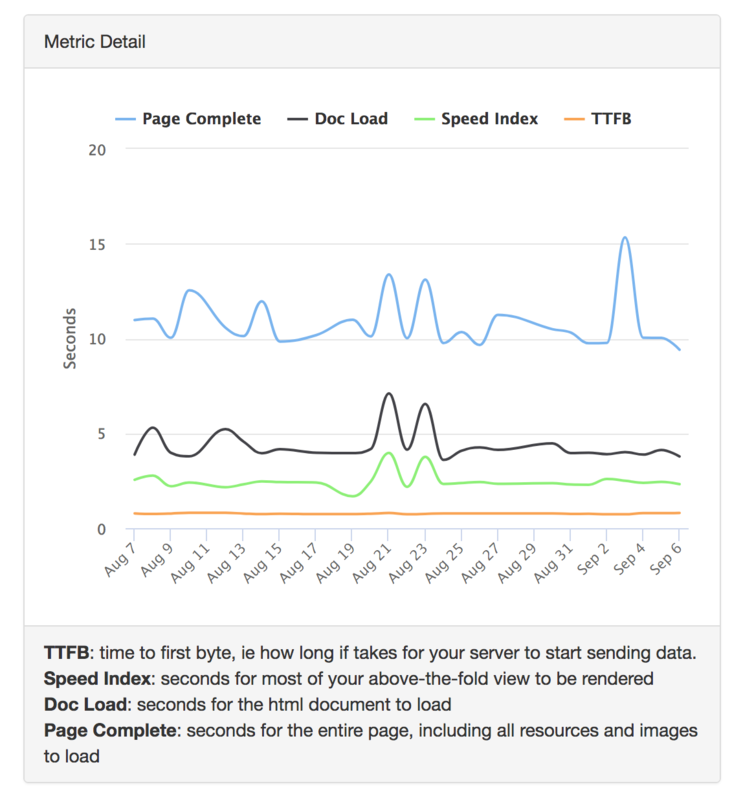 Note how the browser prioritized resources: the one we explicitly stated as important with <link rel=’preload’> is getting high priority, while others that are loaded asynchronously are having low priority. There’s another side of render-blocking resources issue, CSS. It is much easier to deal with compared to JS optimizations though: move styles to the end of the document, adding them to DOM with requestAnimationFrame if possible, and inline critical CSS in the <head> tag. Let’s start with the easiest one, critical CSS. Simply put, critical CSS are the styles needed to render above the fold content correctly. You then inline these styles in document’s <head> allowing browser to render content without blocking on waiting for stylesheets download whatsoever. There’s a plenty of tools for critical CSS generation, critical being a weapon of choice for me. So, we have our critical CSS now, let’s inline it and move forward with postponing external stylesheets until page is rendered. If browser is modern enough (in this particular case, newer than IE10, see browser compatibility table at MDN), then styles will be appended to the DOM when browser will be ready to render something. If not, styles will be appended when the page and its resources are loaded. 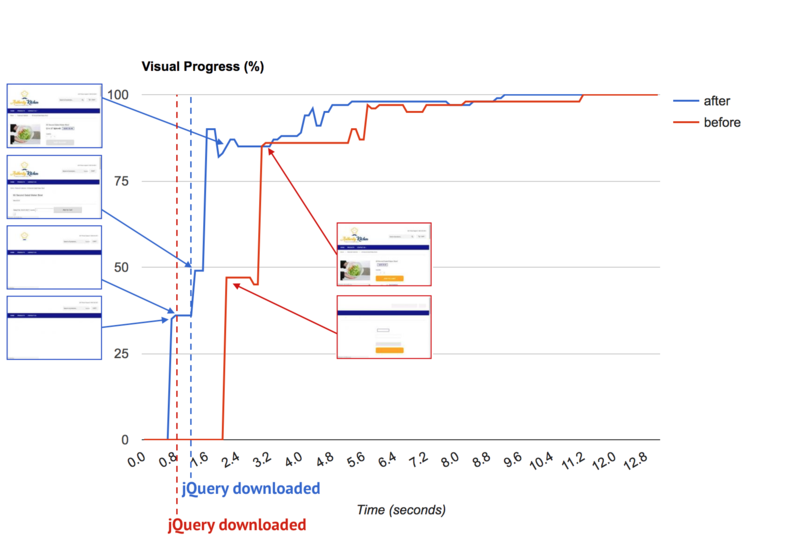 Have you noticed that jQuery was loading earlier before optimizations? How come that page starts render faster now? Bonus points if you thought “well, that must be those CSS optimizations helping out”. You are correct on critical CSS moving the needle here, but there’s another trick: deferred scripts. Browser loads HTML and starts to parse it, requesting synchronous scripts with high priority and asynchronous scripts with low-priority. Rendering is blocked until all critical resources like CSS and synchronous JS are downloaded and parsed. While browser parser critical resources, low-priority asynchronous scripts are starting to arrive, getting at the front of the browser’s thread queue and postponing rendering tasks. Browser parses and executes asynchronous scripts. Rendering task is now getting some attention from browser and page is rendered finally. Simply put, rendering is not blocked per se, it’s just browser doesn’t have any spare time to care about rendering because of async scripts. To fix this, we replaced async attribute with defer explicitly saying to the browser “don’t bother about these scripts. Like, really. Do some render, load stuff you need, and get onto those deferred scripts when important stuff is loaded and rendered”. Shopify doesn’t provide any interface to make these changes, but there’s always a number liquid shenanigans you can use. Just remember to test out things carefully. Now, when most impactful issues are resolved, we’re left with other issue that are hard to approach on Shopify platform: back end speed. 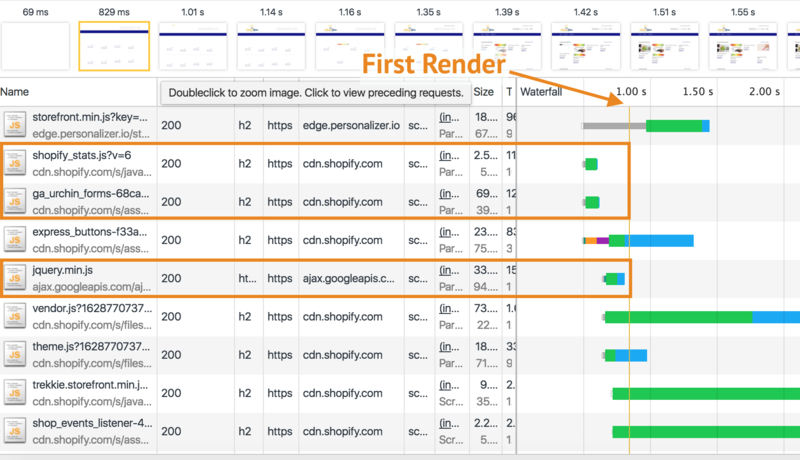 Generally speaking, Shopify back end performance is not bad at all, but it may vary from time to time. One way of fixing this is to serve content via CDN: this will give us early traffic termination and, as a bonus, some other tweaks like correct HTTP headers, namely, cache-related ones. Early traffic termination will reduce roundtrip times globally: US users will get content served from US CDN servers, Asia users — from asian CDN servers, and so on. We chose Cloudflare for its wide edge servers network, overall robustness and some cool features like Page Rules that are available even in free-tier plan. Explanation for this is simple: there’s a lot of Cloudflare edge servers and their connectivity to surrounding data centers is much much better than that of the average network provider. It’s like you’re sitting with a laptop right next to the server, no matter where in the world you actually are. Your pc <-> your data provider <-> unknown routes on the net (lesser amount of them) <-> Cloudflare edge servers DC <-> Shopify DC. The thing is that Cloudflare has wide network of Points of Presence worldwide and they throttle out all possible milliseconds when it comes for traffic between them and other data centers. On the other hand, when no major CDN is used, then all transfer speed depends on an unknown number of network providers. And their hardware and software configuration can be pretty bad. 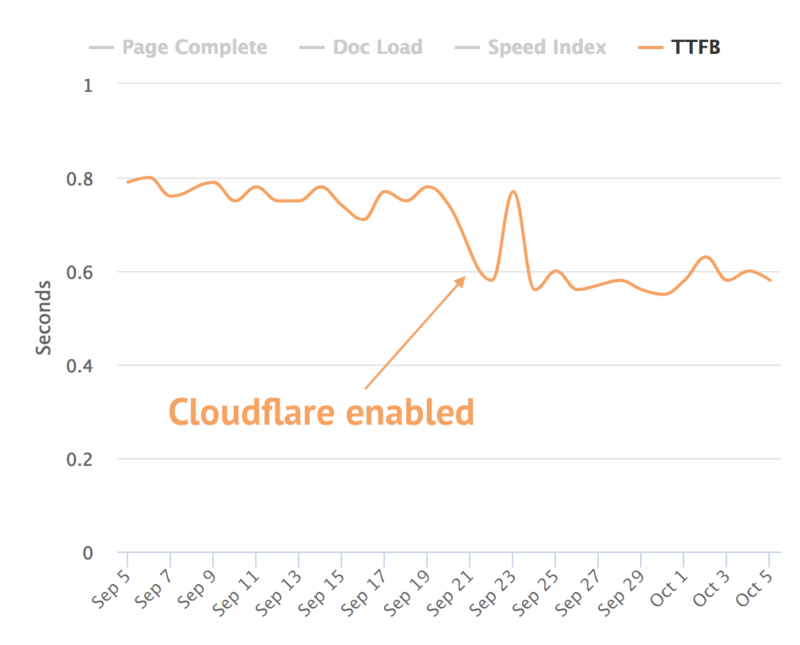 So using Cloudflare is like choosing the fastest and shortest available highway, and relying on basic Internet infrastructure is like taking countryside roads. Overall we were able to shave off about 2.5 seconds of Page Complete time – that’s 2.5 more seconds that this ecommerce site’s visitors are going to spend looking at their products instead of waiting around. Win! Awesome 2.5 second improvement is huge!! !